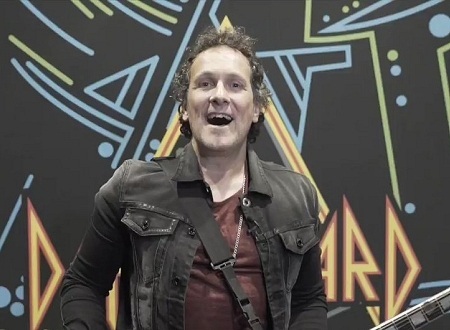 Def Leppard guitarist Vivian Campbell has spoken about his new radio show on BBC Radio Ulster which starts next week. As mentioned earlier this week Vivian is set to host his own show on BBC Radio Ulster starting on Tuesday 18th September. The show has now been confirmed to be a limited six part series via a news update from the BBC Press office. They interviewed Vivian and shared the videos shown below. The show will feature Vivian playing "the music that has inspired him throughout his life". 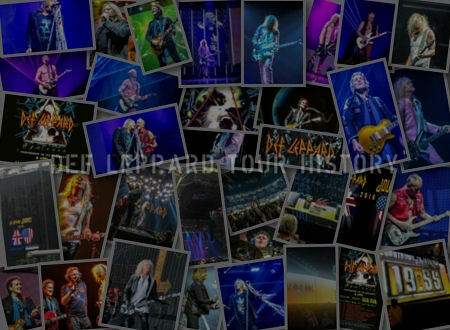 It will also see him share stories from his time in DIO, Whitesnake, Def Leppard and touring with Thin Lizzy. 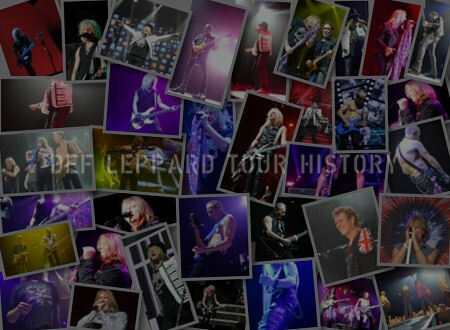 The broadcast date of the first episode coincides with the new start of the fourth leg of the North American tour. Vivian last appeared on BBC Radio Ulster in November 2017 when he played an acoustic version of 'Hysteria' and talked about his OH YEAH Legend music award. 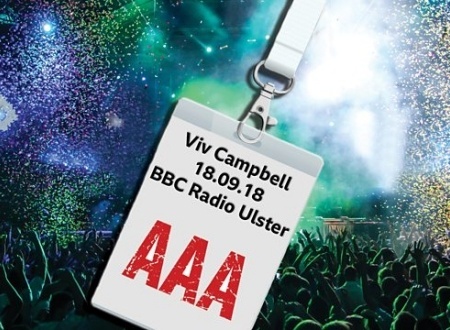 "I'm Viv Campbell and I'll be presenting a new rock show on BBC Radio Ulster. the main reason I wanted to do it was to basically go down a bit of a memory lane for me personally in my own musical journey and the music and the artists that influenced me and first made me want to pick up a guitar. It's been a fun rediscovery. So please listen to my six part radio rock show beginning on Tuesday September 18th at 10pm UK time, on BBC Radio Ulster. Or you can listen after on bbc.co.uk/radioulster." "I was first inspired to play guitar when I saw Marc Bolan and T. Rex. on Top Of The Pops in 1971 I think. I was nine years old I wanted a guitar and I wanted a guitar and I wanted a guitar. I kept wanting a guitar until my parents got me a guitar to stop me from whinging." "Any time some youthful chappie or chapette asks me for advice on the music industry and how to develop into it I always say to find your own voice. Whatever it is whether you're a singer or a pianist or a drummer or a guitar player. Learn to embrace your own shortcomings. When you're starting to play the instrument you always wanna play like somebody and no matter how good or how talented you are you're never gonna sound like anyone else. We're all unique. 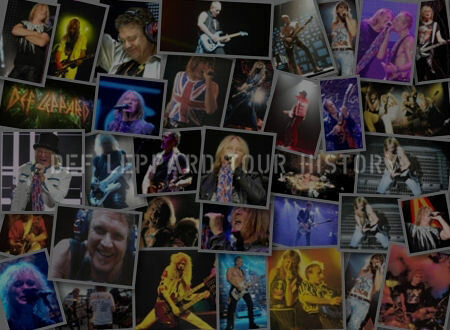 So I always say embrace your shortcomings and just make them your own and you'll find your voice,"
"So I'm currently on tour with Def Leppard. Massive US and and Indeed world tour so it's been difficult finding the time to fit in the radio show. Mostly because it's taken me so long just to do the first one because I'm such a newbie and a novice. But yeah I make the time on days off. You know it's hard to do it in dressing rooms in venues. It's hard to do it on the bus because it's moving, you get a lot of noise. And it's coming together. So you know there's no such thing as a day off really." "Other than the 27 and a half million dollars per episode the BBC is paying me to do this radio show. The main reason I wanted to do it was to basically go down a bit of a memory lane for me personally and my own musical journey, and the music and the artists that influenced me and first made me want to pick up a guitar such as this. 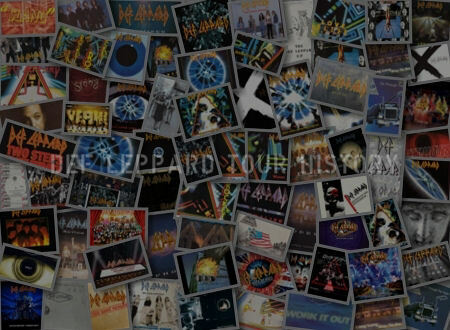 And you know really kind of shaped my musical journey. It's been a fun rediscovery of sorts."